Events in Madison, Ferguson and New York City have brought UW-Madison voices together in #UWVoices. Students have come together to demonstrate commitment to addressing issues of racial disparity and marginalized groups in our community. 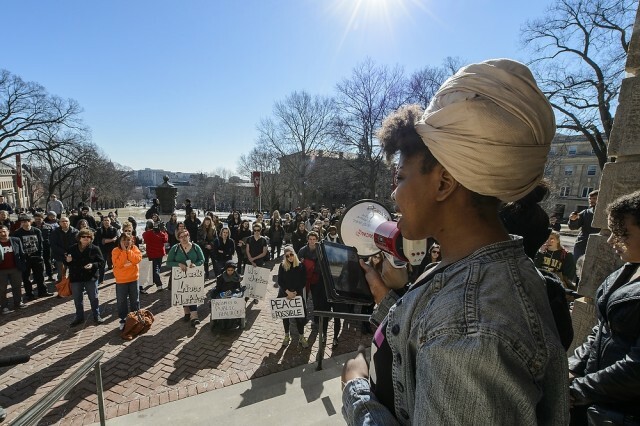 This video explores some of the challenges of race that students experience on campus at the University of Wisconsin-Madison. It was produced by UW-Madison senior Christian Inouye with assistance from senior Christian Wilson.